The actual "mission" began on the afternoon of 16 May 1977 and continued for the next nine days until the evening of 25 May. There were nine, six-hour flights (seven night flights and two day flights) of the CV-990. 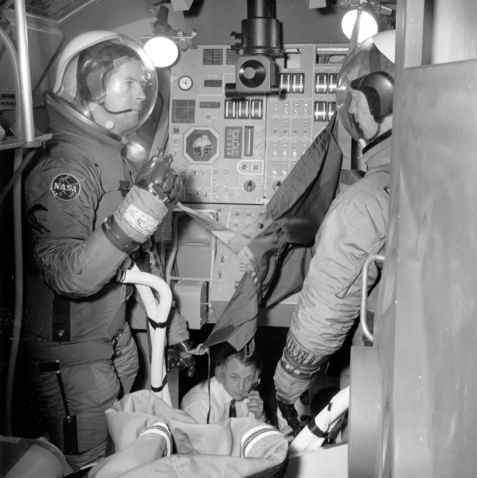 Between each flight, the payload crew was confined to the CV-990 and the living quarters van, which was connected to the aft door of the aircraft between flights. A five-man payload crew (four PSs - two from the US and two from Europe - and one NASA MS - Henize) conducted single-shift operations often experiments over six hours for each flight.29 The most significant feature of the series of flights was that it involved personnel from both NASA and ESA, who were (or would be) directly involved with payloads associated with the early Spacelab series of missions. (The crew included Robert Menzies, who would later become a US Spacelab 1 PS candidate, and Claude Nicollier, who would later become an ESA astronaut.) According to the official post-mission reports, this allowed them to test and evaluate management policies that were being considered for Spacelab. In addition, valid scientific data was obtained in IR astronomy and atmospheric physics. The crew for the second Spacelab medical simulation. 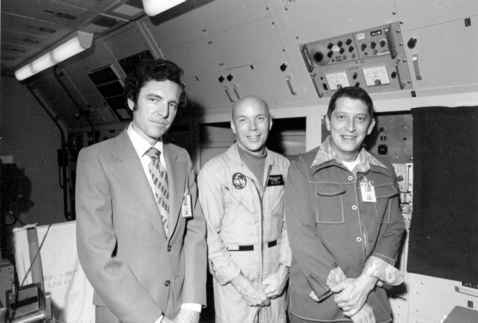 Left to right: Dr. Charles Sawin, Story Musgrave, and Dr Robert Clark. three to four days of simulated on-orbit operations involving the entire crew, the Pis and POCC. This process was adapted in part for later Spacelab missions, depending on the discipline. The assignment of an MS to the responsibility for onboard payload operations management and onboard coordination of STS/Payload integrated activities was demonstrated as both workable and beneficial. 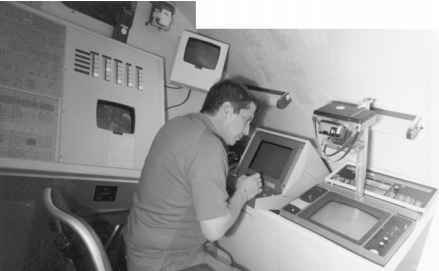 in the final report, it was re-emphasised that there was strong evidence in favour of adapting this approach in real Spacelab missions because of the increased complexity of the Shuttle system and Spacelab payload activities, and of how critical in-flight team work would be. Other benefits from the ASSESS-II mission in general were payload selection and funding, management relations, pre-flight planning and integration of payloads, documentation, European payload integration, and processing of the "launch site" safety issues. The selection, make up, training, scheduling and care of the flight crew, ground and flight operations, real-time rescheduling and the handling of data also benefited from the test. All of these parameters would aid future planning of actual Shuttle and Spacelab science missions, with advantages and disadvantages discovered by both the US and European partners, although not all of the lessons learned would be carried over to future operations. The mock-up of the aft flight deck on the Shuttle during the second simulation - evaluating the potential location of a payload specialist station that would be used on a real mission. been a series of ground simulations aimed at defining the role of the MS in Spacelabtype mock-ups which, combined with the airborne flights, provided a baseline for training refinements and mission preparations leading to the first Spacelab orbital operations.